Wall Street banks are strong enough to withstand the next severe economic downturn. The results reflected the first round of the Fed's annual stress test. The results of the more consequential second round come next week, when Fed announces whether banks are cleared to raise their stock dividends. While today's real-world economy is solid, with an unemployment rate of 3.8%, the Fed's yearly checkup imagines a much harsher reality. 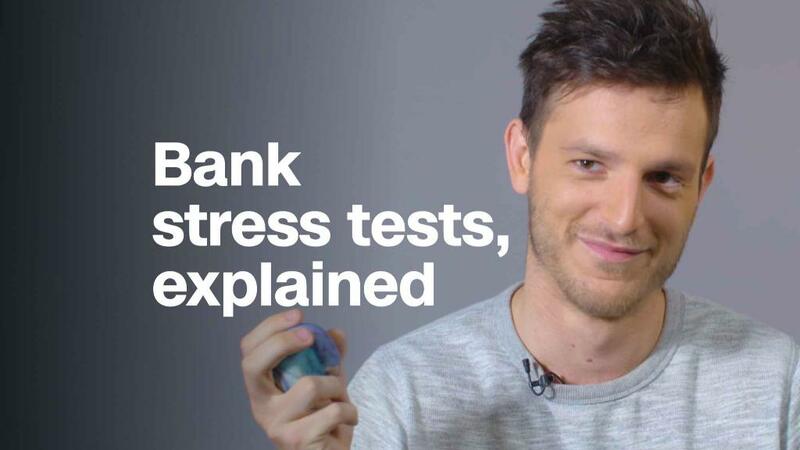 In this year's exam, banks were tested against an economy with 10% unemployment, a plummet in housing prices and a severe recession in Europe and elsewhere. Even under that dire scenario, the banks would have more capital than they had in the years leading up to the Great Recession, Fed Vice Chairman Randal Quarles said. This was the third year in a row that all the banks have maintained capital levels above the minimum the Fed requires. The 2010 financial reform law known as Dodd-Frank requires the Federal Reserve each year to test the health of the country's banks. A senior Fed official said this year's test was the most stringent yet. Still, in the scenario imagined by the Fed, the banks would have somewhat less capital because of high credit card loan losses, and because of recent changes to the tax code. While President Trump's corporate tax cuts have helped fuel blockbuster results for Wall Street this year, banks suffered steeper losses under the test because of a lower tax rate and new accounting changes. Banks sometimes carry certain tax deductions and other credits forward, and use them as a cushion to lower their future tax bill. Those cushions are worth less now that corporate taxes have been cut. A senior Fed official told reporters on a conference call that in the years ahead a lower tax rate will only bolster banks' after-tax income, making them even more durable. Capital is a necessary ingredient for banks, the financial system and the economy to remain afloat. Without it, banks have less of a cushion to absorb losses during a downturn. CIT Group, Comerica and Zions Bancorporation were excluded from this year's test after Trump signed a bill that exempted smaller and mid-size banks from the stress tests. Six foreign banks with US operations were newcomers to the exercise this year: Barclays, BNP Paribas, Credit Suisse, Deutsche Bank, RBC and UBS. The senior Fed official said those firms performed quite well, but did not offer specifics. Since 2009, the 35 institutions have added more than $800 billion in capital to their coffers. Thanks to their larger store of capital, banks are able to shoulder financial losses like heightened stress in the corporate loan markets or commercial real estate. The annual exam was put into place after the financial crisis. Each year, regulators are looking for two key pieces of information. The first is whether banks have enough capital to survive a calamity in the financial system. The second is whether firms are good at identifying and measuring risk when they craft their plans. To keep banks on their toes, regulators tweak the exam every year. Banks will get the chance to revise their capital plans before next week's results are released. But any bank that fails will have to draw up new plans and won't be allowed to pay dividends to shareholders until it has been approved by regulators. The banking industry has been reaping the benefits as the Fed has begun to raise interest rates and as the tax law has taken effect. During the first three months of this year, banks hauled in record profit of $56 billion. -- CNNMoney's Matt Egan contributed to this story.